Whether you are looking for an exciting outdoor activity, a relaxing walk or simply want to know where to get the best coffee and cake this is the list for you! Just a 5-minute drive from Aviemore, Rothiemurchus has a whole host of outdoor activities to enjoy. Our top picks include a Guided Land Rover Experience with one of our knowledgeable and entertaining Countryside Rangers, sit back and enjoy the rich wildlife, history and culture and learn about the people who live and work in this special place. 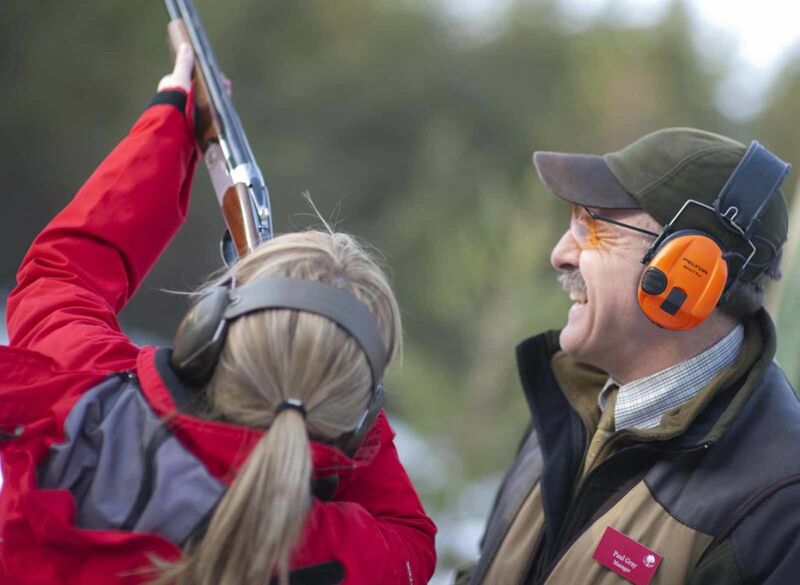 For those seeking a bit more action we offer Clay Target Shooting, our full sporting layout comprises multiple shooting positions, including high pheasant tower, bolting rabbit and driven grouse. Experienced instructors provide top class tuition, offering packages or one-on-one sessions to suit both novice and experienced shooters. Rothiemurchus Fishery also offers a great day out with Fly and Bait fishing in a beautiful setting as well as fully guided, early morning and evening Osprey photography trips at our specialist lochside hides. No trip to Aviemore is complete without a visit to Loch an Eilein. One of the best low-level walks in the area, the 5km loop around the loch takes about an hour to an hour and a half to complete. Take your time strolling through the ancient pine forest and enjoy the fresh air and views of the mountains, keep your eyes peeled for interesting wildlife such as Red Squirrels or Scottish Crossbills. 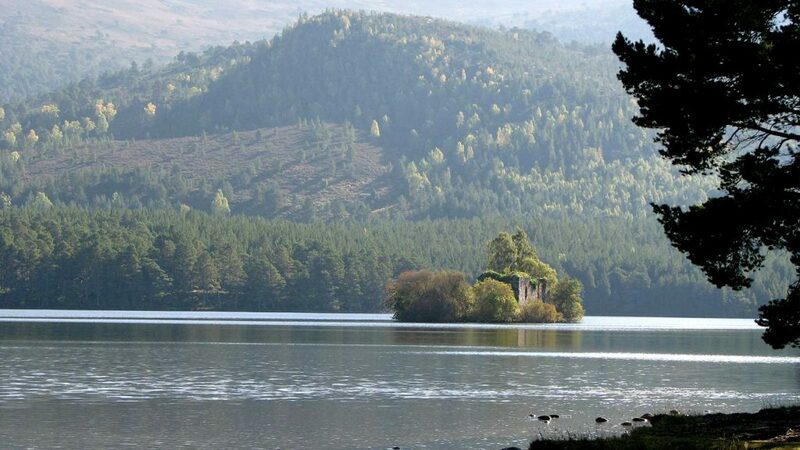 Loch an Eilein with its 13th-century island castle literally translates as ‘Loch of the island’. The castle can be seen from the shore or close up when walking around the loch. Loch an Eilein Gallery makes for a nice stop off, it’s open from 11-4.30 daily in the summer months, selling beautiful local art and craftwork as well as refreshments. Rothiemurchus Centre was once the local school building for the children of Aviemore and Rothiemurchus. It now houses unique shopping and dining in The Old School Shop, Card Shop, Farm Shop and The Druie Café. The Old School Shop is a real treasure trove of beautiful, unique and quirky gifts plus Rothiemurchus postcards and cards for every occasion in our Card Shop. 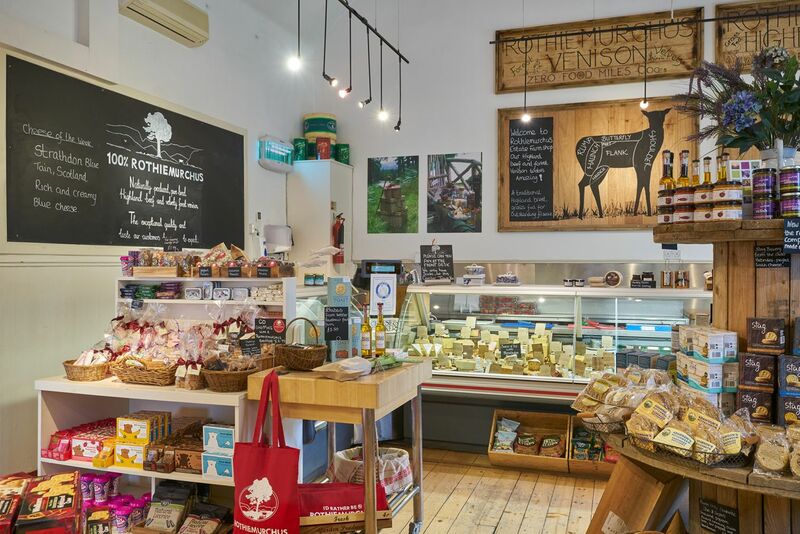 Our fantastic Farm Shop sells our own beef and venison as well as a great selection of local and artisan produce, everything from cheese, jams and chutneys to chocolate, whisky and our popular range of Scottish Gins. If you work up an appetite shopping you can always stop by The Druie Café for a spot of lunch or some locally roasted coffee and a home-baked cake! Sit inside the charming Druie – an old classroom – or outside in our new ‘sit-oot-erie’. Dogs welcome in the sit-oot-erie. Family holidays in Aviemore are very popular and for good reason! The area offers a vast playground for family activities from walking and biking to exciting water sports, pony treks and tree top adventures to suit a variety of ages. For younger families our top activities include hand feeding Red Deer, guided by a Countryside Ranger. 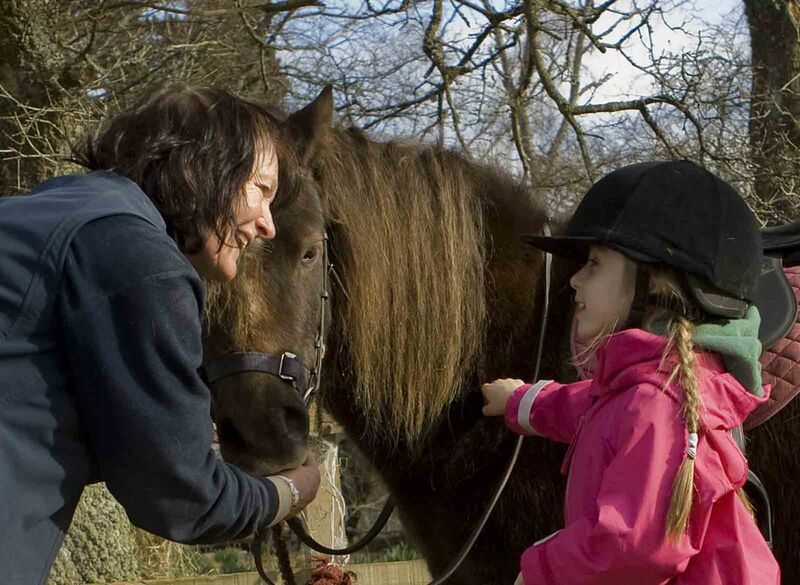 Pony trekking is a popular option too, our Wee Womble Ride is suitable for ages 3+ with more Pony Trekking options for older kids. Treezone is an obstacle course in the trees, great fun for ages 7-107! Exploring the area by bike is a great option too, with bikes, trailers and tag-a-longs for hire, this is an activity the whole family can enjoy. Luckily we’re used to having a rainy day or two in Aviemore so you’ll find lots of things to do for kids and adults alike. Some of our activities are even more fun in the rain – splash through the puddles on a Quad Trek led by a fully experienced guide along a stunning network of tracks and trails. Pop on a wetsuit and get even wetter White Water Tubing or Paddle Boarding! Paddleboarding on the River Spey is one of our newest activities and provides a unique way to explore this beautiful area. The river is much more sheltered from the wind than Highland lochs, so makes a great learning environment and the river’s flow makes it extra fun! Suitable for ages 8+. 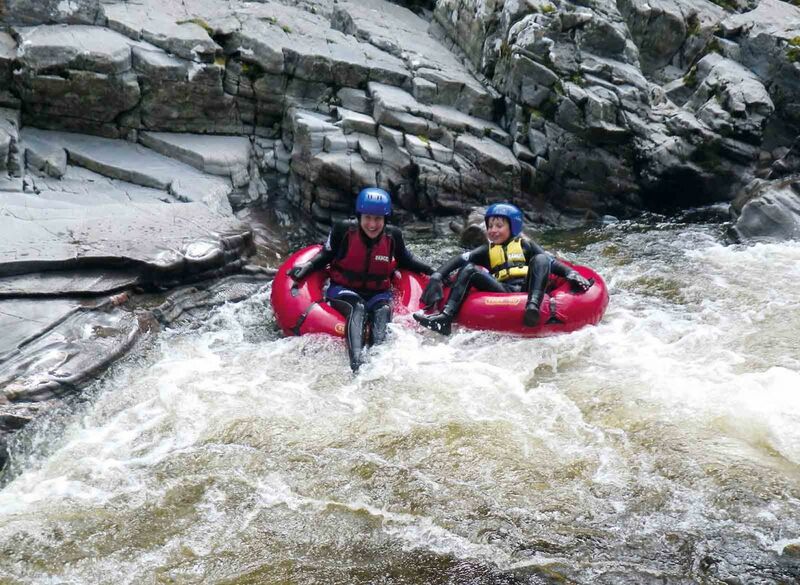 For families with kids age 5+, you can enjoy a gentle float down the river with our Family Rafting experience. 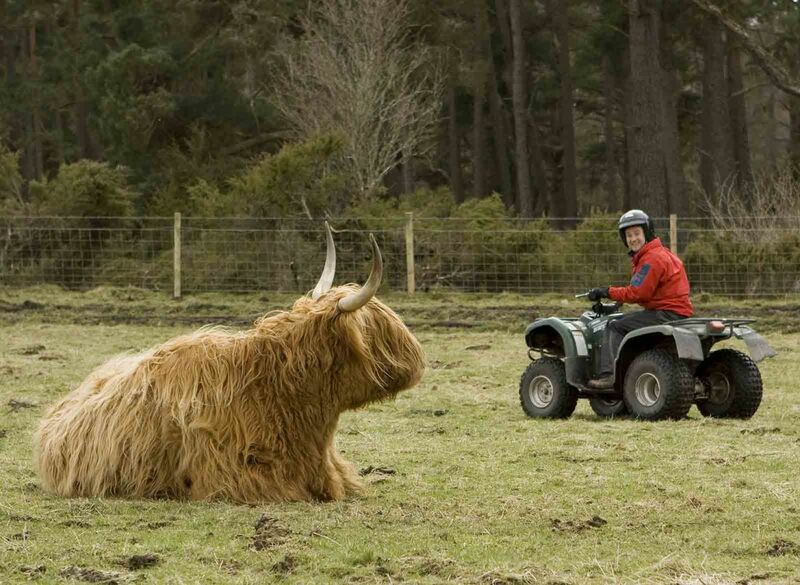 You can see the full range of activities on offer at Rothiemurchus here.